Jeff (Jon Heder) is a creature of habit, with an obsessive/compulsive attachment to his job as a bowling alley manager. He has a menagerie of odd co-workers, including owner Carl (Jim O’Heir), Carl’s wife Sheila (Candi Milo), alley gopher Stanford (Brendan Meyer) and handyman Frank (Steve Berg). When Carl decides to sell the alley, Jeff becomes desperate to save it, without realizing it’s part of his overall anxiety affliction. His situation changes when his sister Lindy (Anna Konkle) decides to crash at his Chicago apartment with her med school roommate Samantha (Maya Erskine). Life is what happens to Jeff when he’s busy making other plans. Jon Heder exploded onto the scene in 2004 with his major film debut, portraying “Napoleon Dynamite.” After he created that legendary movie character, Heder went on to major supporting roles in “Just Like Heaven” and “The Benchwarmers,” before scoring another big comic performance – opposite Will Ferrell – as Jimmy MacElroy in “Blades of Glory.” His career continues to be rich… he revisited the voice of Napoleon in an animated TV series in 2012, portrayed Roy Disney in the independent film “Walt Before Mickey” in 2015, and continues to be in demand for animated voice roles. In Part One of a Podtalk with Patrick McDonald of HollywoodChicago.com, director and co-writer Kendall Goldberg talks about creating the title character, and finding the zeitgeist in the world of bowling. In Part Two, Jon Heder talks about his role as Jeff, his sudden rise as cultural influencer Napoleon Dynamite and his continuing journey as an actor. 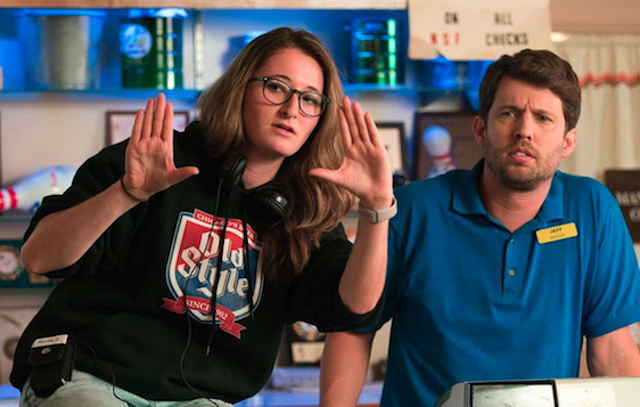 “When Jeff Tried to Save the World” has a screening at the Music Box Theatre – 3733 North Southport, Chicago – on Thursday, December 6th, 2018, with Lead Actor Jon Heder and Director Kendall Goldberg making an appearance on behalf of the film. Featuring Jon Heder, Jim O’Heir, Brendan Meyer, Maya Erskine, Steve Berg and Anna Konkle. Written by Kendall Goldberg and Rachel Borgo. Directed by Kendall Goldberg. Not Rated.